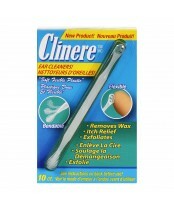 Clinere Ear Cleaners were invented by a man who repeatedly watched his father use foreign items to clean his ears. Realizing that his father required a better alternative to perform this task, he invented the Clinere Ear Cleaner. Although his father never lived to see his son’s invention, his son credits his father with the original concept.